Both “Israel” and the Arab monarchies in the Persian Gulf have become a lot less shy about openly discussing their pursuit of rapprochement. Hardly a week goes by without an “Israeli” official coming out to brag about what are supposedly clandestine ties. The latest headline-grabbing revelations came from the “Israeli” Prime Minister, Benjamin Netanyahu, who said that “fruitful cooperation with Arab countries is usually covert”. But the “cooperation” is clearly not “covert” enough to prevent the “Israeli” premier from telling the whole world about it in an open forum. Of course, the big ‘secret’ is that the absence of an “Israeli” flag flying over a building in Riyadh does not translate into an absence of a political, military and economic relationship that dates back to the days of the British Empire. Throughout the 1920s, Ibn Saud and his Wahhabi armies eclipsed two Arab sheikhdoms, Ha’il and Hijaz, over their rejection of the British Empire’s Zionist project in Palestine. As such, the Judaification of Palestine is embedded in the geopolitical DNA of contemporary Saudi Arabia. Naturally, in the years that followed, Saudi Arabia would never participate in a single Arab-“Israeli” war, or lose a single soldier to the fight against the “Israeli” occupation of Arab lands. Whether facilitating flight paths for “Israeli” jets to bomb targets in faraway places like Iraq, or supporting “Israeli”-armed British proxies in North Yemen, the Al Saud family would maintain a fruitful relationship with Tel Aviv. 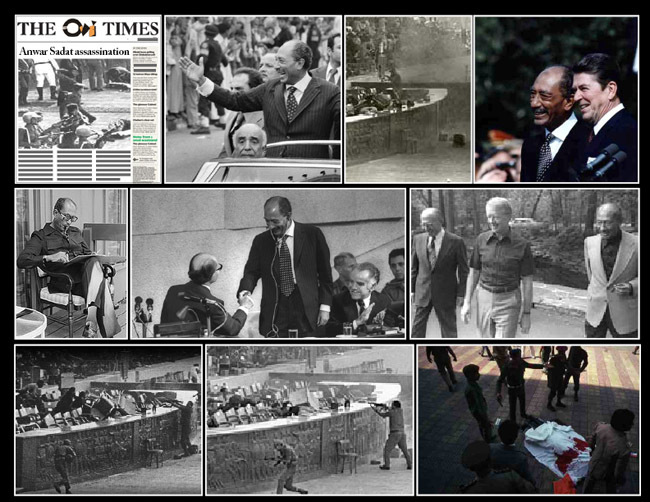 ”At least Sadat did it alone. Sadat was shot for treason, and now the Arab states are being asked to endorse mass treason,” he said. During the time of Hafez al-Assad’s Syria, Saddam Hussein’s Iraq and Muammar Gaddafi’s Libya, Fahd still had to “ask”. But today, Crown Prince Muhammad Bin Salman is doing nothing of the kind. Two Arab leaders and traditional Saudi allies were summoned to Riyadh this month. Both the Palestinian Authority President Mahmoud Abbas and Lebanon’s Prime Minister Saad Al-Hariri were humiliated and given ultimatums by Saudi Arabia’s de facto ruler. Abbas was told bluntly he had to choose between collaborating with US President Donald Trump’s so-called peace initiative or resign. Under added pressure from Washington, he chose the former. In yet another shameless effort to consolidate its position in the Arab world, which is increasingly polarized over Riyadh’s push to normalize ties with “Israel”, the Saudis convened an emergency Arab League summit. During the gathering in Cairo, Saudi Arabia’s Foreign Minister, Adel al-Jubeir, accused Iran of aiming “to destabilize” the region. The summit’s final statement also accused Lebanon’s Hezbollah of “supporting terrorism”. Muhammad Bin Salman’s pre-emptive coup, which purged the royal family of potential opponents, tore up the kingdom’s traditional power-sharing arrangement into pieces. Securing the crucial support from the Trump White House in his ascent to the Saudi throne obliged Bin Salman to also alter the longstanding formula governing Middle Eastern affairs. Thus, the two-state solution became obsolete and the ‘secret’, decades-old “Israeli”-Saudi relationship is going public. These political and social earthquakes require dramatic adjustments in the Arab world’s perception of the Zionist agenda and the existence of “Israel”. So, while Saudi satellite states entertain anti-Iranian Jewish groups, Bin Salman is comparing the Leader of the Islamic Revolution in Iran, Ayatollah Ali Khamenei, to the man that sought to wipe out the Jewish people during World War II. “The American-“Israeli”-Saudi project that gave rise to Daesh was designed to counter Iran and now that this project collapsed they need another strategy,” al-Ahmad adds. 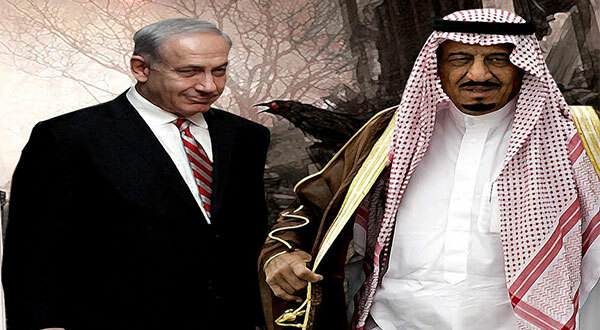 “Bin Salman’s use of the word ‘Hitler’ is very significant because he is basically trying to create this narrative that we have to fight all together to protect the Jews from ‘Hitler'”. “That gives you an idea of what’s coming and that’s a clear and open Saudi alliance with “Israel” to target Iran,” he opined. The region is brimming with rumors that King Salman is preparing to abdicate in favor of the crown prince any day now. And if the coldly calculated, ruthless behavior of the young king-in-waiting is any indication of what he may do once the throne is his, the unholy alliance between “Israel” and his country only promises to be even more shamelessly open and certainly a whole lot more audacious.